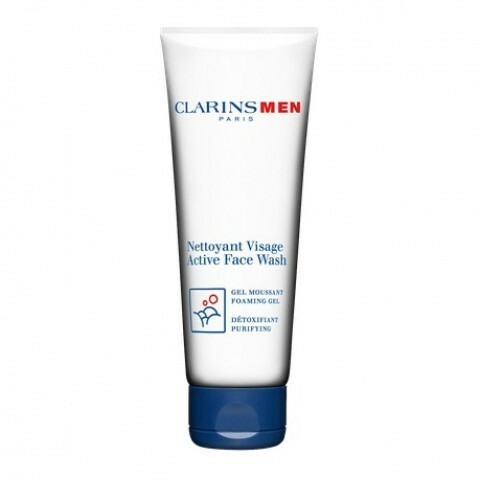 Clarins Men Active Face Wash Foaming Gel is a detox foaming gel. 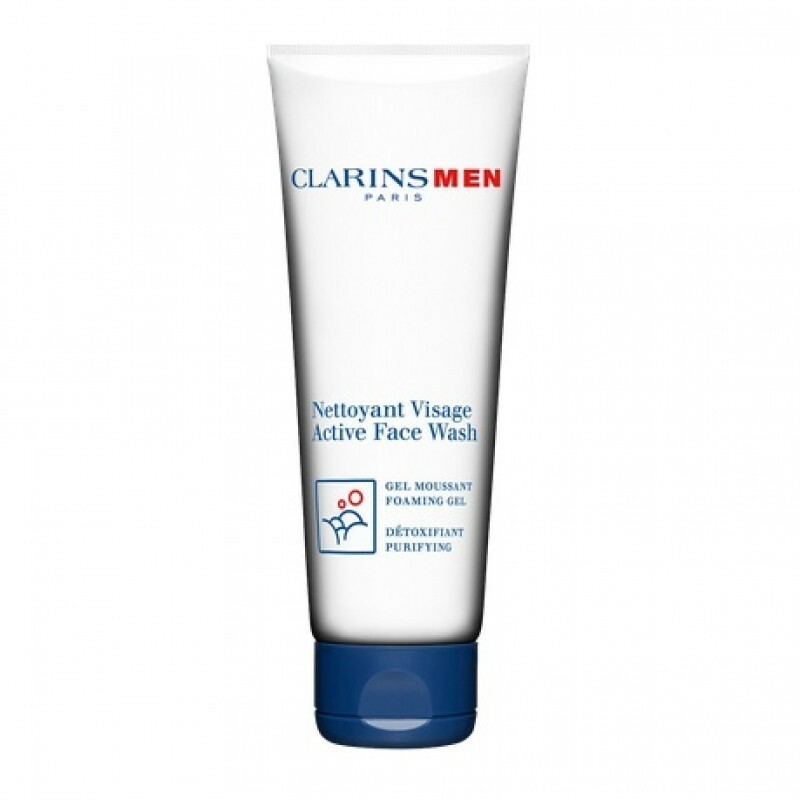 Man up for an ultra-clean complexion with the Clarins Men gentle foaming cleanser that tackles dirt, grime and pollutants with the gentle purifying power of Grindelia and Gaultheria extracts. Leaves razor-burned skin soft, toned and geared-up to handle whatever comes its way. Mild enough to use twice a day. How to use: On a daily basis, morning and evening, before shaving. Splash face with warm water, squeeze a small amount into the palm of one hand, lather between two and massage over damp skin. Rinse well. Suitable for all skin types. Syndet, a soap-free dermatological washing agent: cleans and softens. Helps prevent in grown hairs. Wintergreen and Grindelia plant extracts: remove dead surface cells. A patented complex of Bison Grass, Chinese Ginger and Purslane plant extracts: energise, soothe and purify skin.